Erin and Keith live in an historic area developed and built right after the St. Louis World's Fair in 1904. Their neighborhood is just across from Forest Park and Washington University. This pic is from several years ago in the Autumn. It's such a beautiful area. I love it especially in the Fall. OK, so on to the poor quality pictures. You'll see the "Befores" coming up shortly. 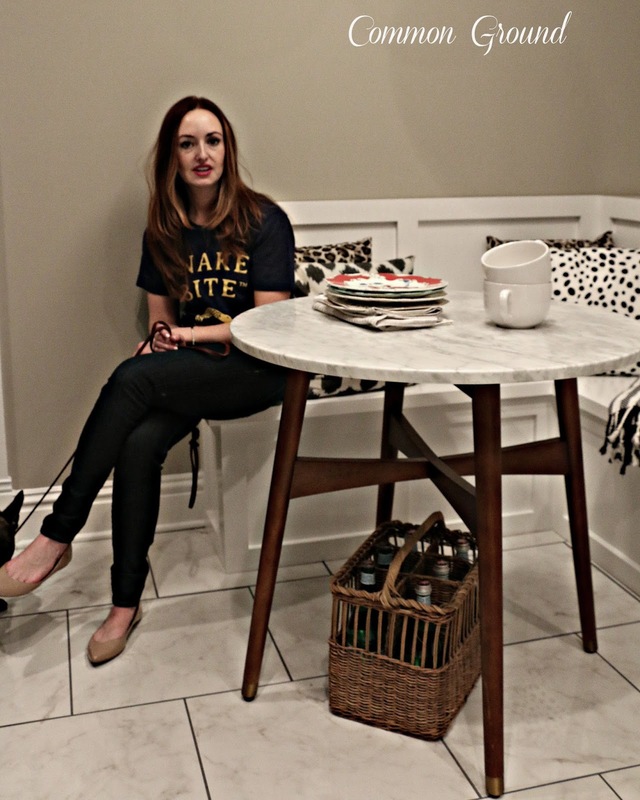 Erin decorates with traditional elements that have a modern vibe. 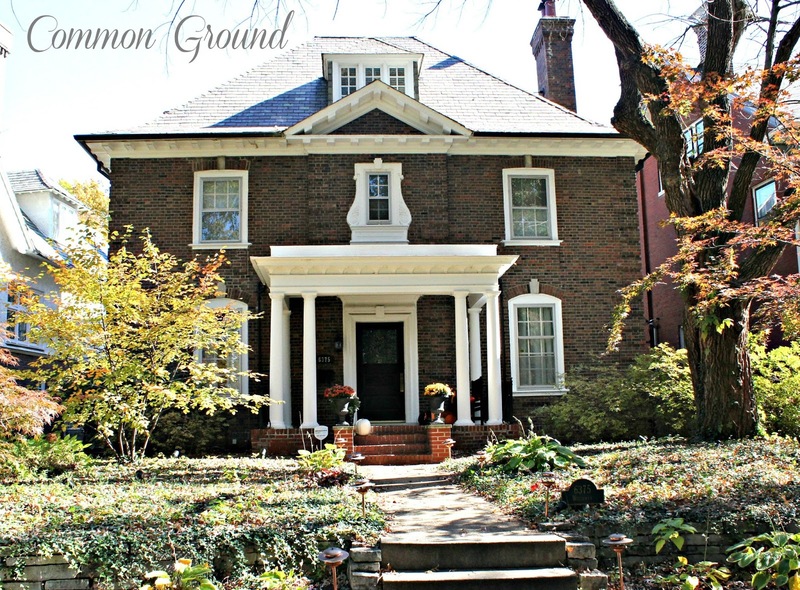 They've done an amazing job keeping the integrity and style of an historic home in their renovations. You can see how old the house is from the recessed windows. now it's floor to ceiling storage. This is an Italian stove, don't remember the name. 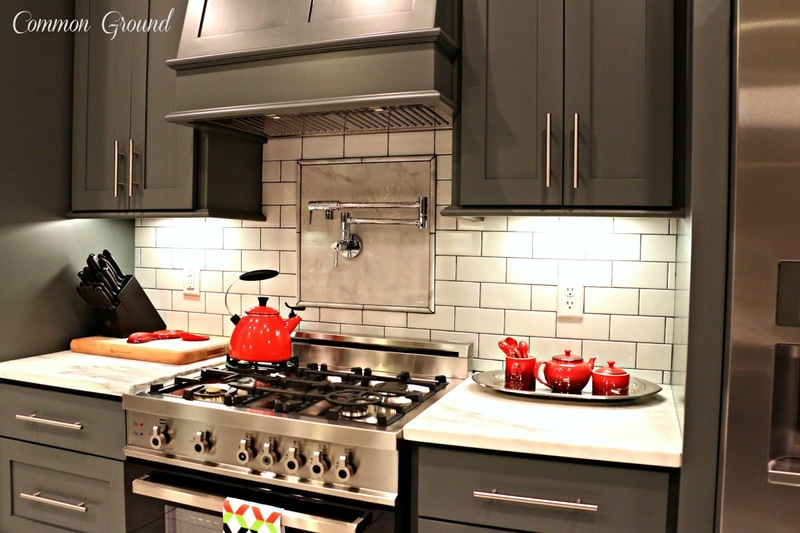 Love the stove hood and the pot filler. and wow, they're so shiny! The cabinet on the far right, next to the fridge is a wine rack. Forgot to get a picture of that. since it's somewhat of a "galley" kitchen. the colors of the paint and cabinets are a little off. 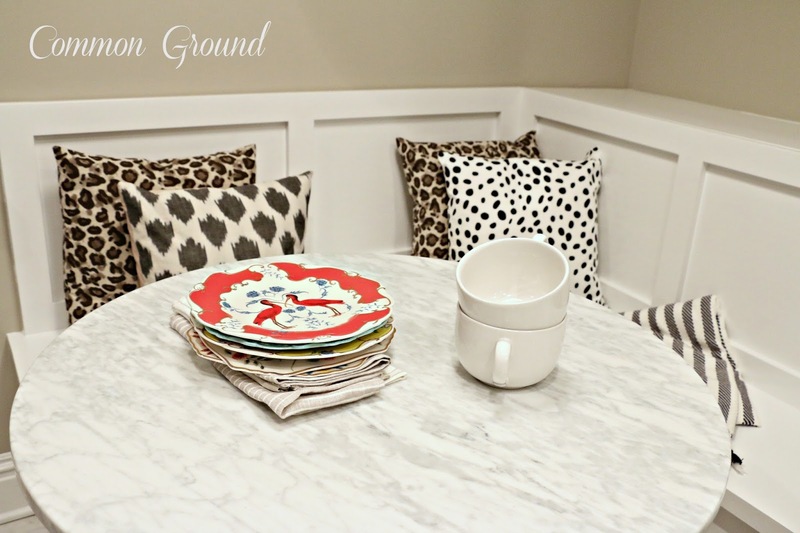 Adorable paneled banquette with storage and fun animal print pillows. I don't know where she found that cute little round table. it's a great "modern" accent to the "traditional". Erin, please forgive me for putting a fuzzy pic out there of you. Such a little man. He loves his photo to be taken. Here are the "Befores" taken last year with my cell phone. Sorry, these are even worse than the "after" shots! At least you can get an idea what they were starting with. I think this last reno was a partial one from the 90's. 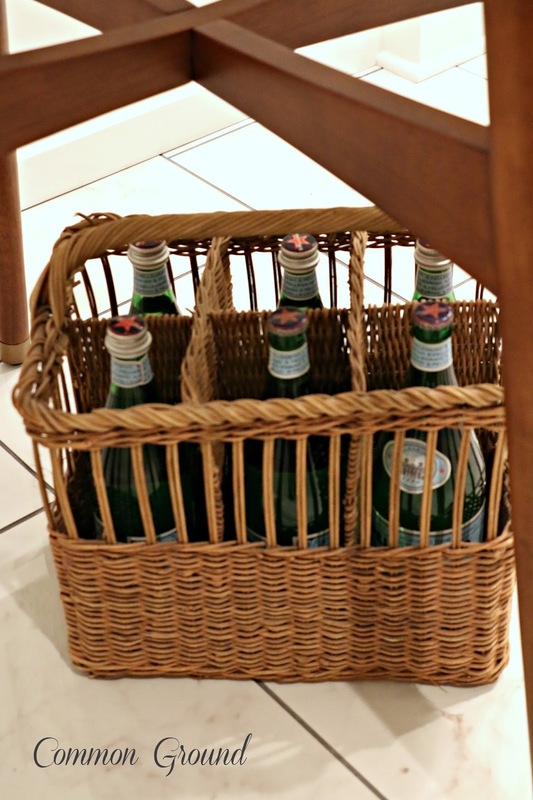 don't you love the cooler we brought? Those are double ovens with a gas stove top to the right. gosh, it's so dark in there. pretty fabulous kids, amazing job! 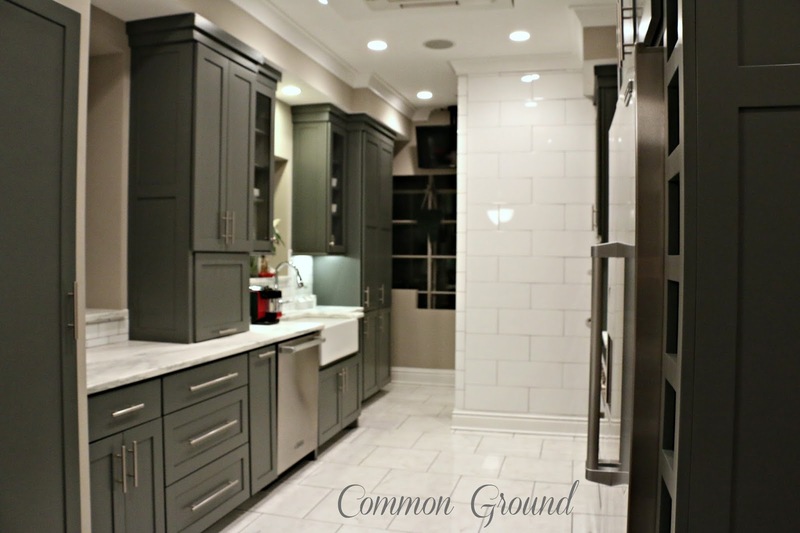 Holy moley what a fabulous redo - wow wow wow! And Erin is gorgeous, smiling or not, fuzzy or not! Love this post, love you kept it real and decided to share with us - too good not to share! Hope you enjoyed your trip and I am so so happy you had a GOOD visit to your doctor this time! 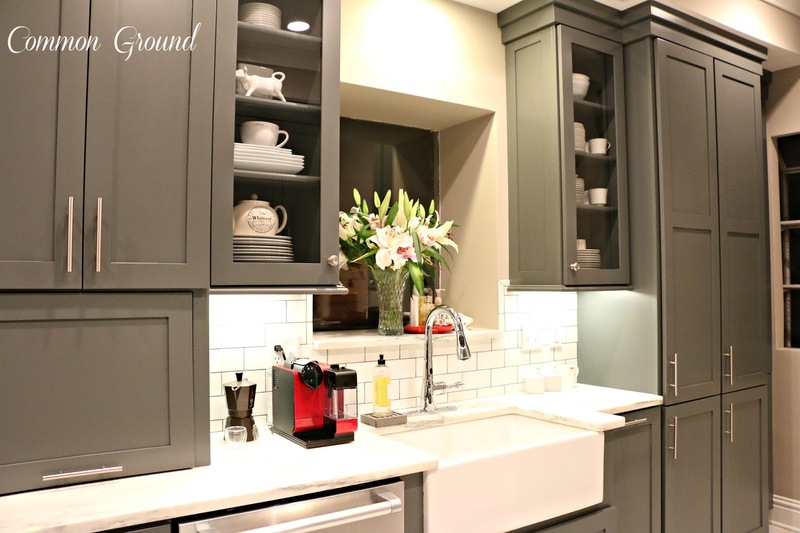 What a wonderful job they did on their on so pretty kitchen. Love all the colors. Vinnie, is a cutie and he does look like he likes his picture taken. Thanks for sharing their lovely kitchen. I would never leave it, it's so great. Glad to hear that you got a good report from the doctor. What an amazing difference! I am so glad that while modern, they also stayed true to the style of the home. So glad your doctor's visit was a good one dear friend! 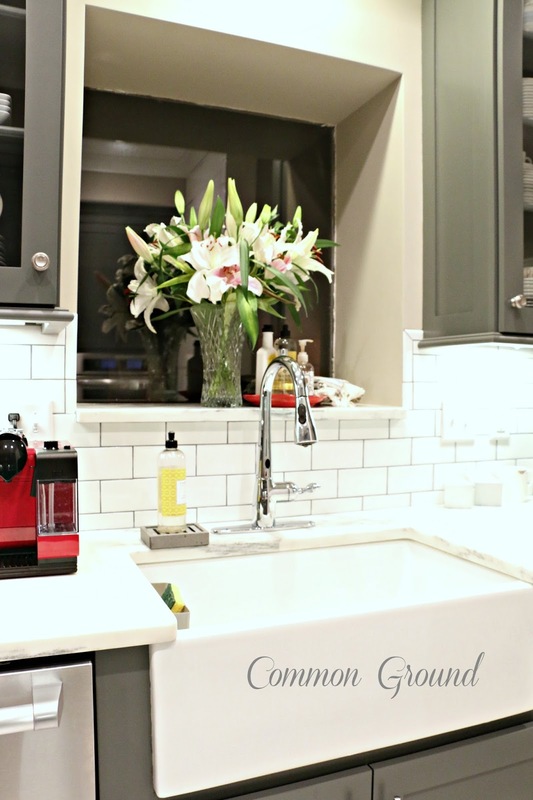 Wow, what a fabulous kitchen makeover! The space is so bright and fresh looking now. 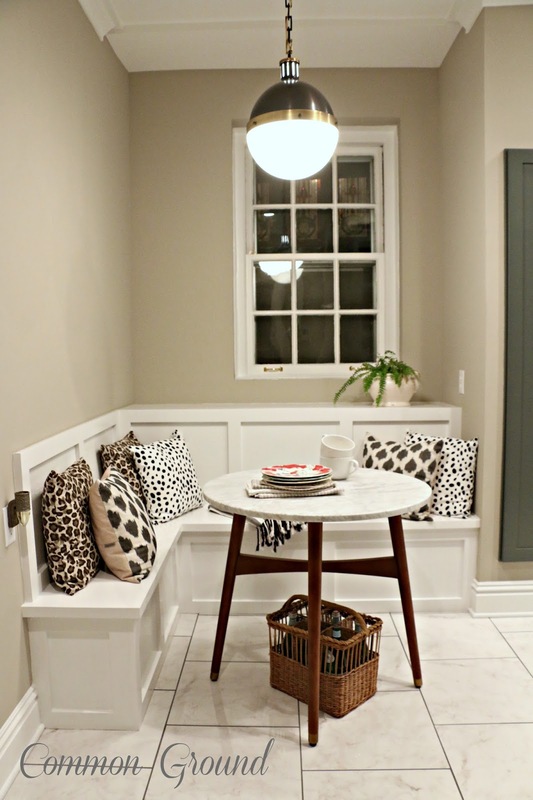 I love the banquette tucked into the corner and their choice of cabinetry and appliances. 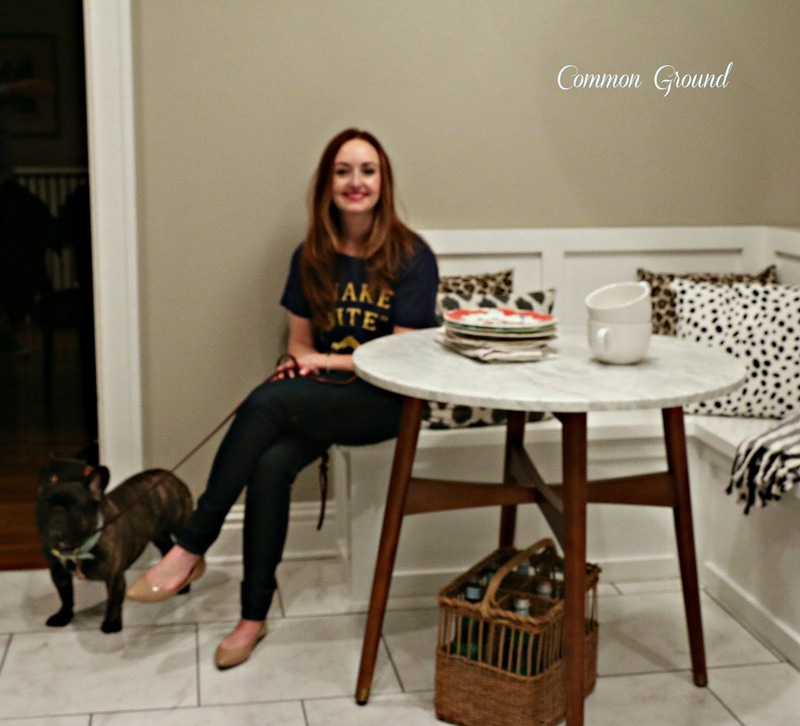 Your daughter and grand dog look so happy with their newly remodeled kitchen! I'm happy your doctor appointment was a good one, Debra. I love that neighborhood. Beautiful old homes! Don't get down there often but always enjoy. 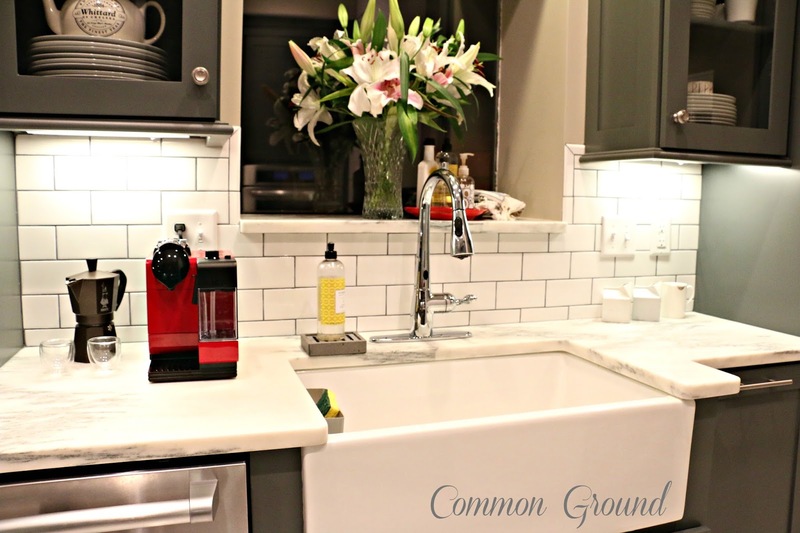 Fantabulous kitchen makeover. I love it all! And great Dr appointment! Oh my goodness, the AFTER is such a huge improvement!!! That is one amazing kitchen, but I probably wouldn't have thought so if they'd kept it the way it was. This is now just stunningly beautiful! 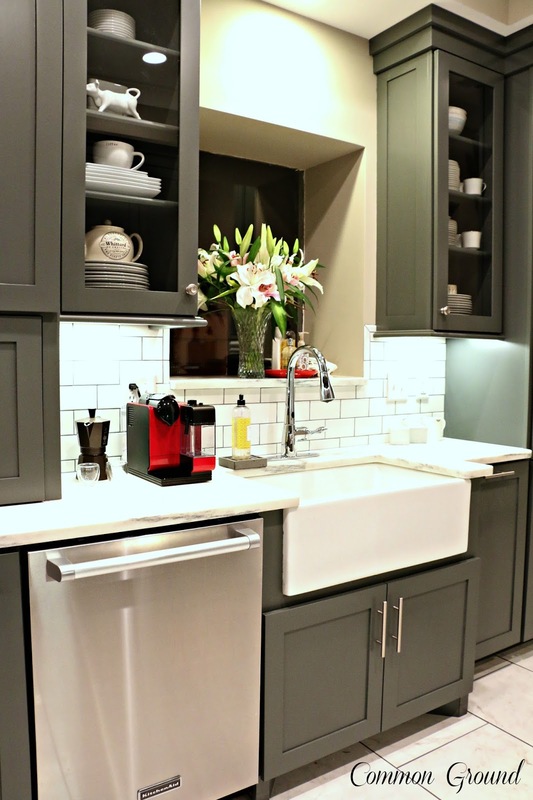 Wow Debra what a great transformation of their kitchen. Beautiful. Love little Vinnie. What a cute name! Hope your doctors appointment went well and you are doing great. Beautiful! 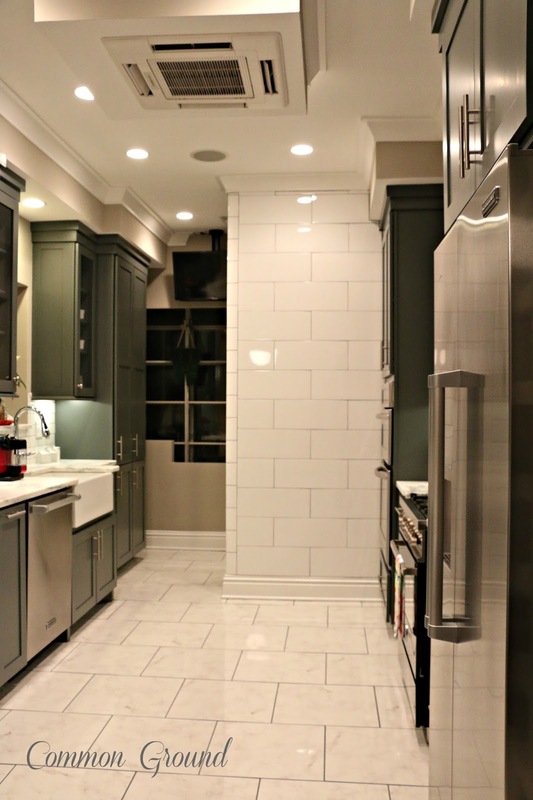 I can never get enough kitchen inspiration. Love it! 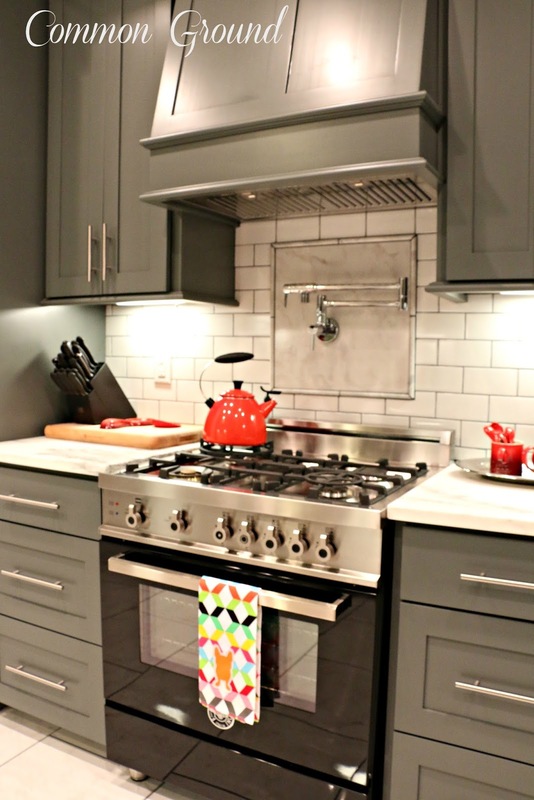 Such a beautiful kitchen makeover...love that stove! Hi Debra.... Just found your blog. Your daughter did a magnificent job - love the kitchen. I moved into a historic home a year ago and am working at it one day at a time. Will definitely stop back. Enjoyed the visit! Oh my - love everything! 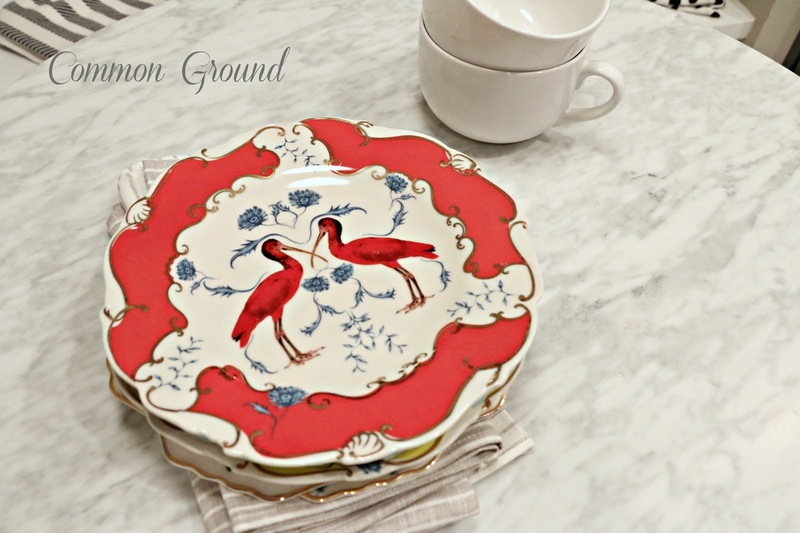 From the amazing stove to the round table - to those gorgeous plates!!! What style!!! Thanks for sharing, Debra! 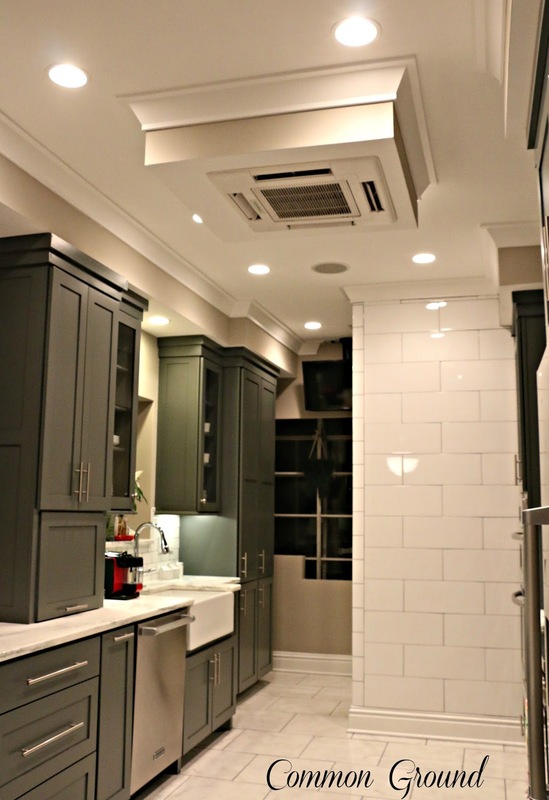 The kitchen cabinets are gorgeous. I am loving the modern vibe! I've been thinking about painting ours a gray color but couldn't decide on the shade. This is just the inspiration needed. Thank you! This is gorgeous. Love the sitting area. Beautiful! I love all of the tiling! Beautiful! The stove/range is a Bertazzoni. Very Italian. Very wonderful. I'd like to ask her how she likes cooking with it because I'm thinking of buying one myself. Chime in any time....thanks! oh wow, Kathleen, glad you're familiar with that amazing sportscar of a stove! They've just had their new kitchen about a month, and I'm not sure how much she's used it yet. I'm believing it would be fabulous. She had a gas stove at each home they've lived in there (all older homes) so she's used to them. I'd love to have a gas stove, but here in the new houses it costs an arm and a leg. Debra, I love your kids home both outside and in! 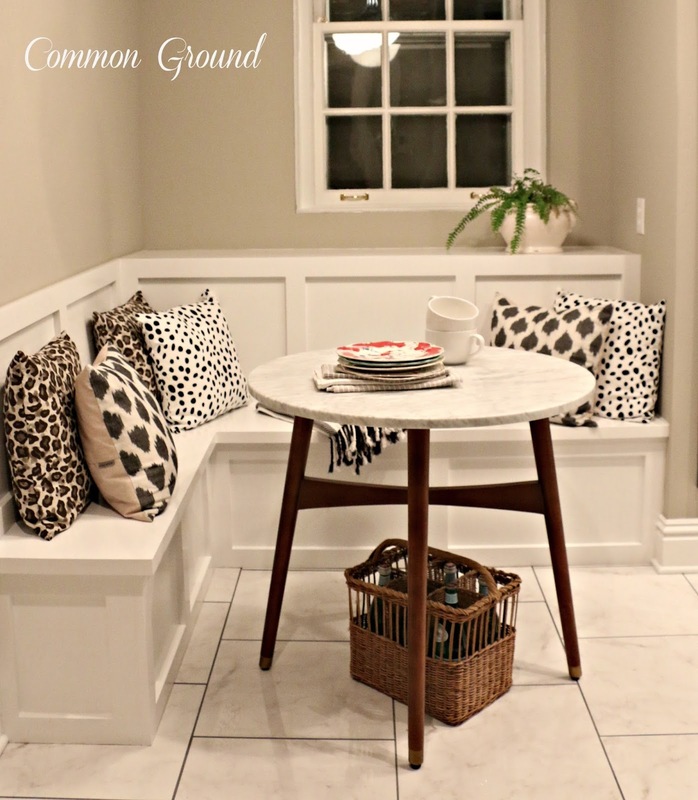 The bench area with the fun pillows is so sweet and love, love the farm sink too! Thanks for sharing with SYC. This kitchen just turned out perfect! 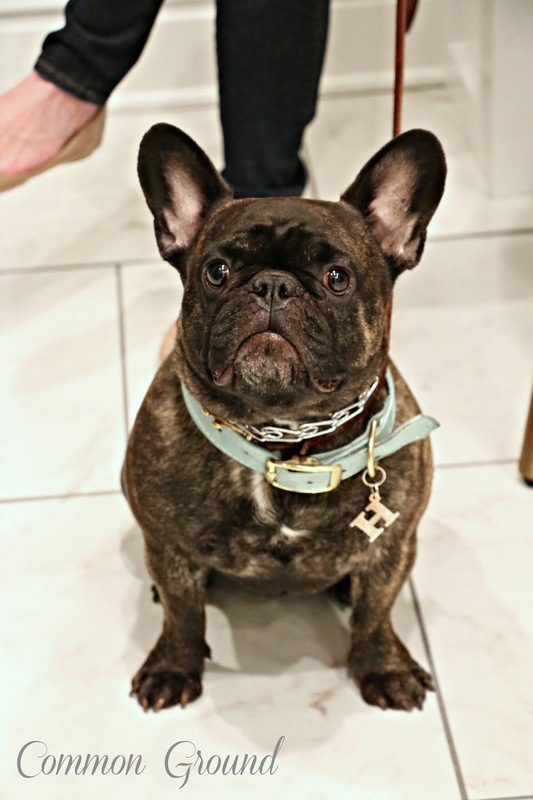 I love everything about it - but you know me - the little Frenchy bulldog stole the show!! I just want to squeeze him. Glad you are doing well and the doc appt went well. Think of you often and always in my heart.